Is there a better alternative to All Chords? 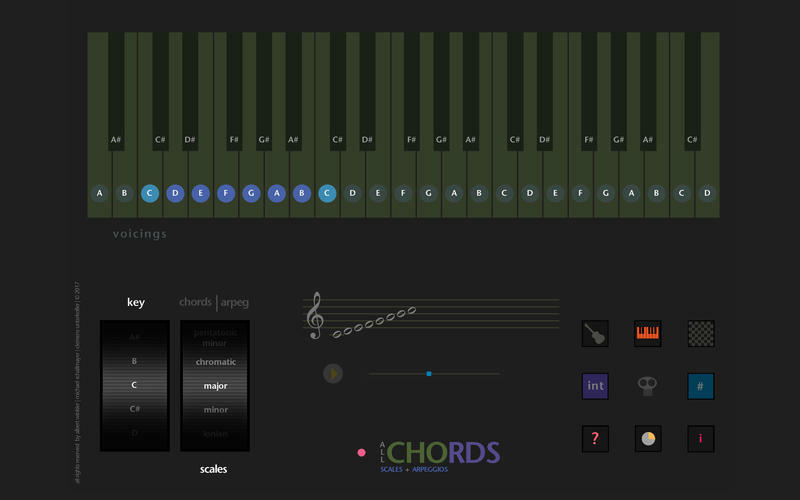 Is All Chords really the best app in Music category? Will All Chords work good on macOS 10.13.4? 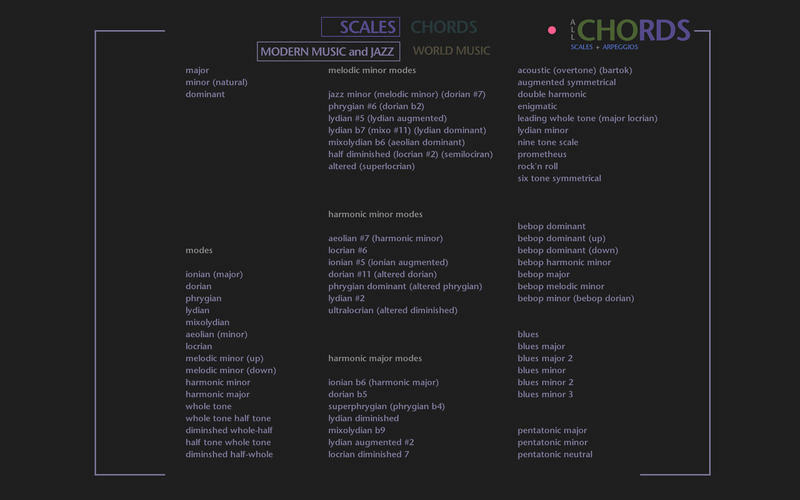 All Chords is a detailed representation of simple and complex chords and arpeggios, as well as scales from several stylistic settings - both for all guitar positions and narrow/wide piano fingerings, and in all keys. 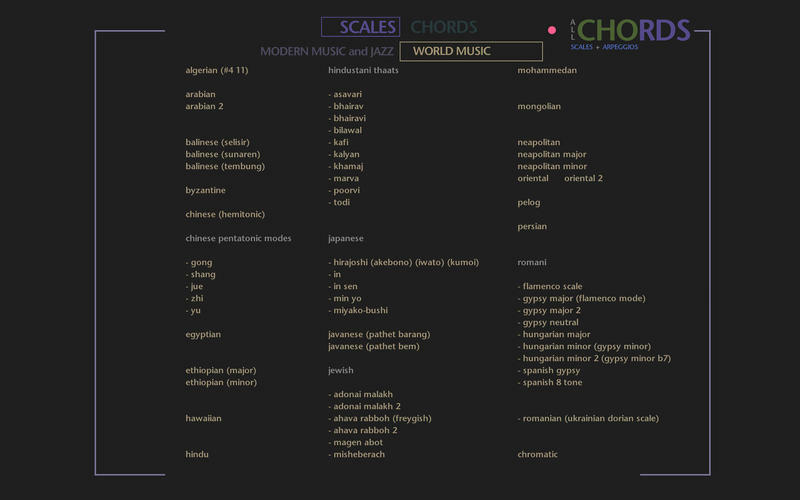 Add to this chord and scale analysis of all positions/fingerings and playback at variable speeds. Everything delivered clearly up for you. 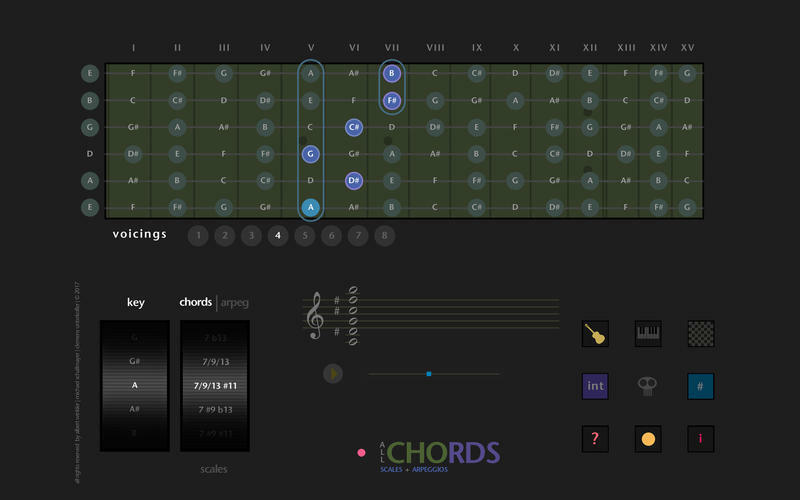 All Chords needs a review. Be the first to review this app and get the discussion started! 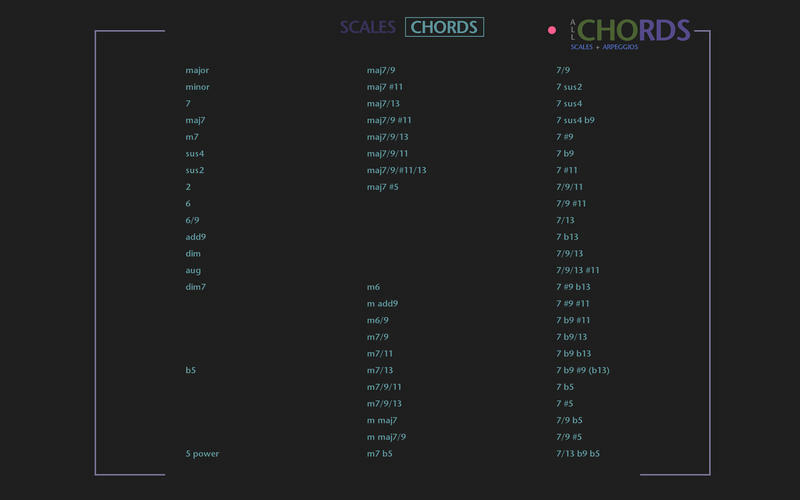 All Chords needs a rating. Be the first to rate this app and get the discussion started!